The all-natural beef raised and sold by FGB of Fredericksburg, Texas, provides a healthier alternative to common grain-fed alternatives. Our beef is lower in total fat and contains two to six times more Omega-3 fatty acids, which can lower LDL or bad cholesterol, reducing the risk of heart attack and stroke. It also contains three to five times more conjugated linoleic acid, which also lowers LDL cholesterol and can help fight certain cancers. Truly grass-fed-and-finished beef is not an 18-month-old calf. Our cattle are at least two years old when we harvest them. We wait longer because this allows the animals to develop the marbling that ensures tender and flavorful meat. Marbling is a product of time. Our herd is never fed grain of any kind. They are raised and finished on the same native pastures where they are born. This provides the animals with a broad range of plants to graze on, producing a healthier animal and nutrient-dense meat. Our calf meat is currently available by third, half, or whole calf, and the price is based on the rail weight of the animal (the weight after evisceration). Half and whole calf pricing are set at a rate of $5.55 per pound. Third-calf pricing is $8.25 per pound, based on package weight. There is a non-refundable $400 deposit per half or third, which is deducted from the final bill. 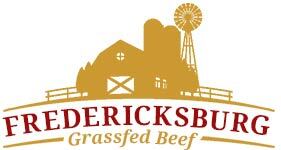 We deliver to Duchman's Market in Fredericksburg for processing. Contact us to learn more about ordering third, half, or whole calves. 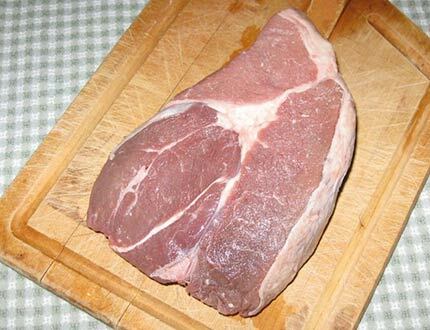 A third of a calf is approximately 130-150 pounds of packaged meat.